Amy Lively and the Neighborhood Cafe were featured on FamilyLife Today, a popular radio program hosted by Dennis Rainey and Bob Lepine. Only God could have arranged such an incredible opportunity! Please join me in thanking Him, and praying for all the listeners who heard about a whole new way to love their neighbors on FamilyLife Today. 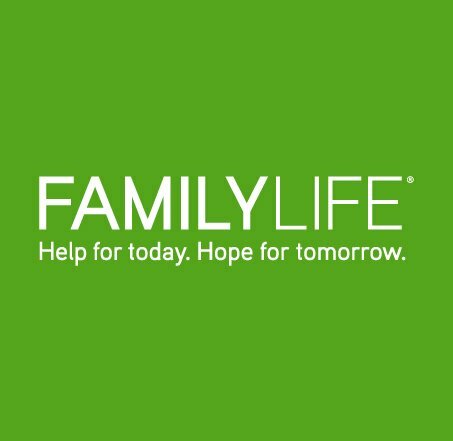 You can listen to FamilyLife Today on top Christian stations across the country. The episodes aired on Thursday, October 31 and Friday, November 1, 2013. Do you know your neighbors? Research shows that a majority of us don’t. Amy Lively, the creator of The Neighborhood Café, remembers what it was like the first time she knocked on doors to invite her neighbors over. But that little step of faith, and the relationships she developed, made her initial nervousness worth it. Amy shares how anyone can easily reach out with the love of Christ to their neighbors, and perhaps change their neighborhood for good. Evangelism sounds so hard. But it doesn’t have to be. Amy Lively, creator of The Neighborhood Café, encourages listeners to love their neighbors in a whole new way by inviting them into their homes. Amy recalls the season when God broke her heart for her neighbors and prompted her to start a neighborhood bible study. Resisting at first, she eventually gave in, and what transpired was life-changing. It is possible, Amy assures us, to love your neighbors without being weird, and today Amy tells you how. Purchase the “The Neighborhood Cafe Kit” and receive free the FamilyLife Today® Audio CD featuring Amy Lively. Click here to purchase this special offer directly from FamilyLife.